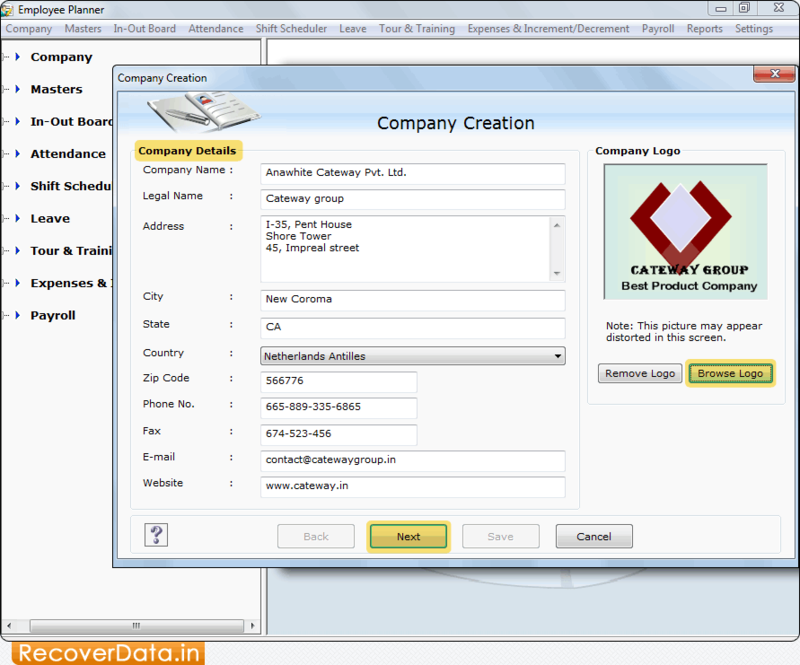 Enter Company details which you want to create and press 'Browse Logo' button to browse your company logo. Now Go to the 'Next' button to continue. Click on 'Shift Scheduler' and then go to the 'Assign Shift' option. 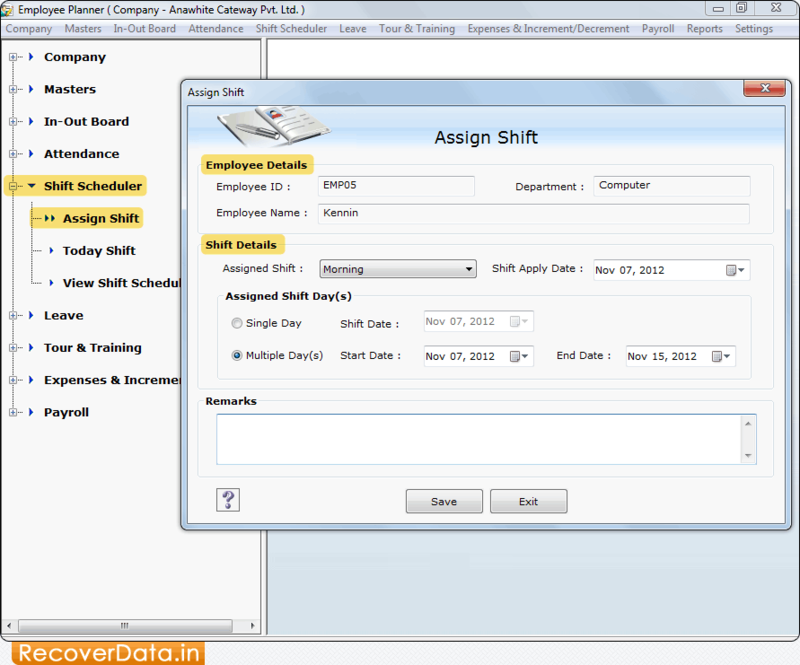 Here, you can maintain employee's shift details. 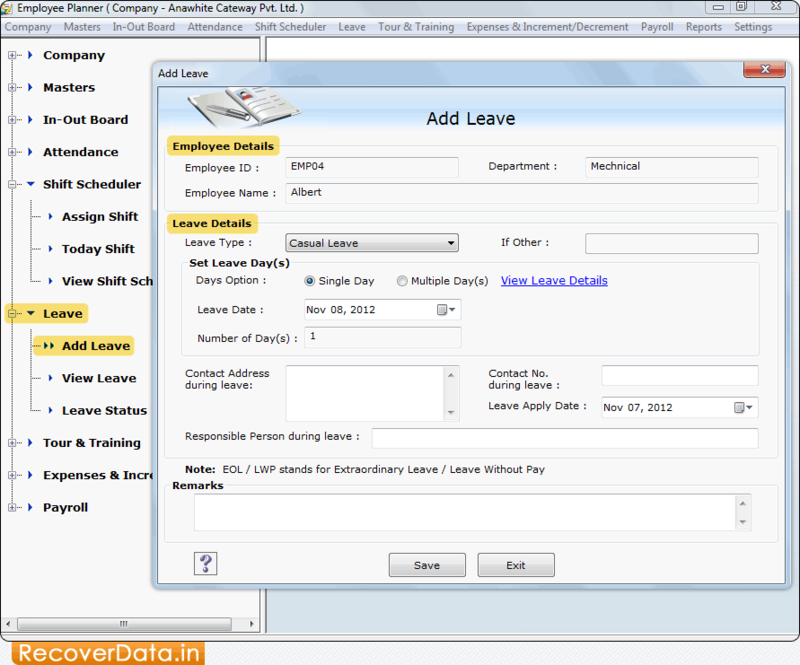 Click on 'Leave' and then 'Add Leave' option to maintain leave details of an employee.